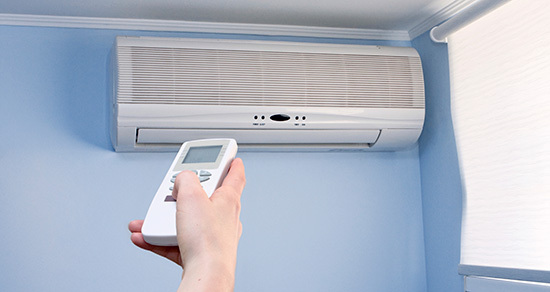 Looking for wall and central air conditioners in and around the South Shore of Montreal? Contact Climatisation Chauffage St-Hubert now, Quebec's expert in the sale, installation, and repair of wall and central air conditioners. With 20 years of experience in the field, the company knows wall and central air conditioners inside out and is therefore able to meet all your needs in relation to the sale, installation, and repair of this type of device to cool you down when the temperature goes up. Whether you have a wall or central air conditioner, whether it's broken or obsolete, or whether it's brand new and you want to rely on professionals to ensure its proper installation, our team of skilled refrigeration technicians will meet your expectations. Extensive inventory of name-brand air conditioners: Samsung, Goodman, Friedrich, Gree Hansol, etc. At Climatisation Chauffage St-Hubert, your satisfaction is our priority. That's why all we do not outsource. Our team of technicians and refrigeration engineers does all of our work, since we want to have control over our installation and repair of wall and central air conditioners. In this way, we are sure to deliver the service you deserve. To learn more about our products, please contact us. We serve the region surrounding the West Island and South Shore of Montreal, Laval and all the surrounding areas.